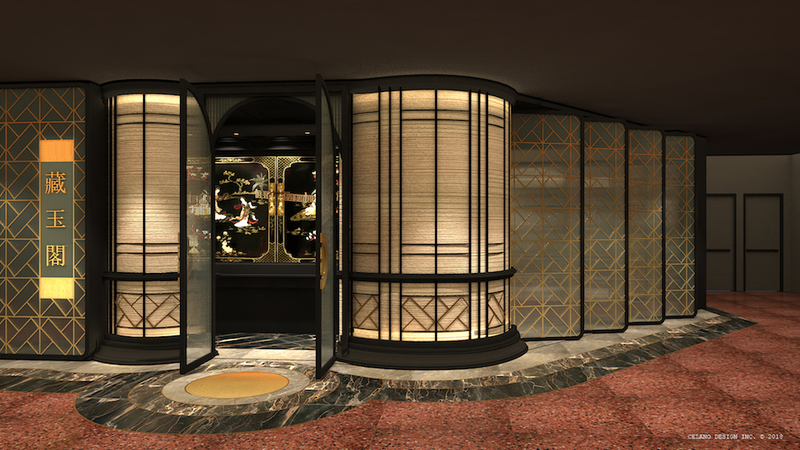 The latest restaurant concept from The Cosmopolitan is helmed by Chef Yip Cheung, who previously led the kitchen at the resort's legendary Talon Club. At The Cosmpolitan Las Vegas' legendary Talon Club, guests—the whales of Sin City, VIP high-rollers who'll risk millions at high-stakes tables—eat like kings. For anyone who's ever craved a glimpse or a taste of that exclusive culinary experience, mark October 15 on your calendars and book that flight to Vegas—because at 6 p.m. that evening, Red Plate opens its doors for dinner at The Cosmopolitan. Helmed by Executive Chef Yip Cheung, who previously led the kitchen at The Talon Club, Red Plate offers an authentic high-end Cantonese dining experience with multi-regional influences and inspirations—the menu includes favorites such as whole Peking duck, Sichuan spicy tofu, black truffle xiao long bao, and a wide variety of live seafood, including geoduck, rock cod, Alaskan king crab, Dungeness crab, and Maine lobster. 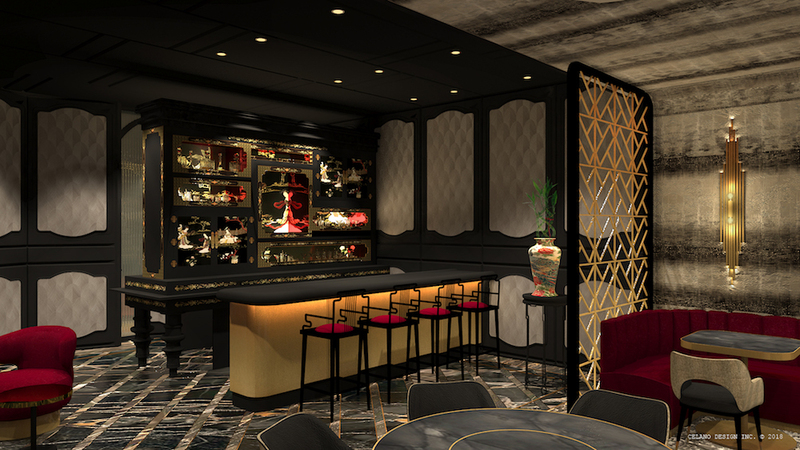 "With Red Plate, we set out to build the best Chinese restaurant in Las Vegas," Patrick Nichols, the Senior Vice President of Strategy and Business Development at The Cosmopolitan of Las Vegas, tells Food & Wine. "We spent weeks in China, Hong Kong, and Macau researching and developing the menu. We listened to our customers and have incorporated some of their favorite dishes into the menu. We’re focused on quality—not quantity—and the menu is focused as result, with a few specialties featured from a few key cuisine types. In addition to the core menu, Red Plate will feature an array of dim sum, best-in-class BBQ offerings, and hot pot. Of course, there will be off-menu items available every night including live sea food and other chef specialties. We’re putting The Cosmopolitan touch on the restaurant with an extensive tea and cocktail program. The restaurant design has hints of Shanghai but it’s very comfortable and inviting. We want the food to be the feature." With a growing surge in Chinese tourism directed squarely at Las Vegas, the opening of Red Plate is the latest in a string of high-profile Chinese fine dining options to open on the strip—strategically designed to please and attract guests from Asia. "We have made considerable investments in The Cosmopolitan’s infrastructure to attract new customers and grow our casino business with major projects such as The Boulevard Penthouses and The Reserve, the expansion of our high-end gaming salon, Talon Club, a new fleet of limos and a private jet," Nichols says. "A traditional Chinese restaurant is the final and pivotal piece that our Asian customers are looking for in a Las Vegas resort. "Chinese guests love the options at The Cosmopolitan," he says. "The new fine dining restaurants the resort has added have been very well received—Momofuku, Blue Ribbon, Beauty & Essex, and Zuma. While our Chinese guests love exploring our Restaurant Collection, over a multi-day stay, they’re going to have at least one comfort meal and for the guests that are visiting from China, that’s traditional Chinese cuisine. Fusion, Chinese-influenced, Chinese-inspired won’t cut it with these discerning guests—they’re looking for traditional. At Red Plate, we plan to keep the traditional flavors and preparation methods but are exploring a more thoughtful approach with creative presentations, platings and décor." Red Plate opens at The Cosmopolitan of Las Vegas October 15.